Join us for a Work In Progress screening with director, Jun Stinson and film subject, Dania Cabello. Screening followed by in-depth discussion about film and audience feedback session on film. All proceeds from ticket sales will be donated to completing the film. Futbolistas 4 Life is a half-hour documentary that follows the lives of two Oakland youth with immigrant roots as they navigate life challenges and take solace in a sport that lets them put their worries on the sidelines. The film begins in 2012 and follows April and Ben – two students who are in the Futbolistas soccer club at Life Academy High School in Oakland’s Fruitvale district. As we get to know these teens, we see how playing with the Futbolistas gives them a sense of community and psychological relief. Each is seeking refuge in the sport for a different reason, and striving to excel against the odds. Jun Stinson is a producer at AJ+, a former BAVC National MediaMaker Fellow and a former San Francisco Film Society FilmHouse Resident. Prior to AJ+, she was a post-production producer and editor with Al Jazeera America and an associate producer with Current TV. She directed the documentary short, “The 90th Minute,” about the demise of one of the world’s best women’s professional soccer teams. 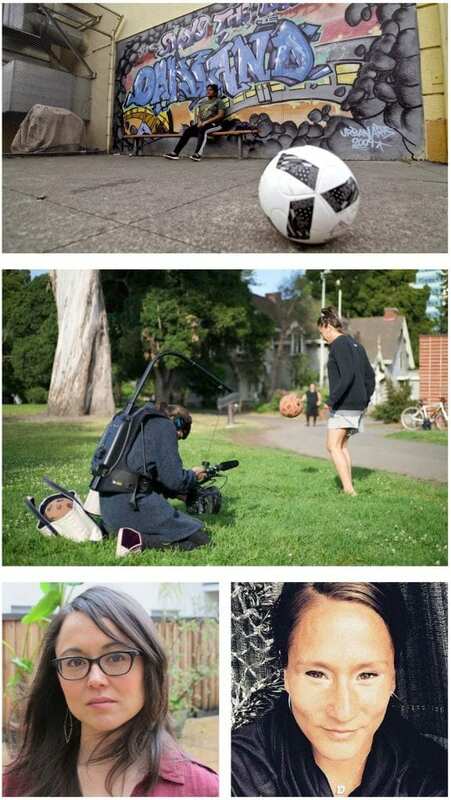 She was also the Assistant Editor on the feature documentary “Spark: A Burning Man Story” that premiered at SXSW, and an intern on “The Save,” an ESPN documentary short that aired during the 2011 Women’s World Cup. Jun was born in Oakland, California and was raised in both Oakland and Kobe, Japan.